We have a 2004 Tribute ES, V6, Auto, etc, with 34,000 miles on it. As you can see from the mileage, it doesn't get used much, and we consistently have occassions during the winter where we encounter a dead battery if it sits more than 2-3 days(which it does alot). It's been to the dealer while under warranty and the charging system is good; Battery was replaced under warranty 2 times, and last January we put a larger capacity Deka battery in, but to no avail. Can the security be that much of a drain? Just wondering if anyone else has this problem? 2-3 days means something is stuck on... the security system should last at least 2-3 weeks. Any chance the remote is being pressed accidentally to repeatedly lock the car or something? Are there any aftermarket accessories on it? Anything from a tomtom that's always plugged into the cigarette lighter, to an amplifier addition to your stereo could cause a quick drain. If you can't find anything else, you can get a battery disconnect switch (walmart, radio shack) to simply cut the power to everything, which would save the battery. Or hook up a trickle charger to the car, that would be the easiest thing to do. If you find an electrical engineer, they can put a meter on the battery and track down what may be draining the system. Nothing is left on, and no aftermarket stuff. Battery does fine all year except for the hard dead of winter; it's the 3rd battery. hm, since it's cold weather only, there could be a bad solder joint somewere so there is a device staying on when it's cold instead of getting a 'turn off' signal. It's a stretch but it's possible. 1. Look at the current drain from the battery, should be around 5mA or less, yours is probably ~300-400mA if it's killing the battery in 3 days. It may take some time to drop, i've seen vehicle security systems draw 1 amp or more for 15 mins before going into low power mode. 2. Look at the current through each fuse / circuit when the car is off & locked. You can put the car on blocks, open the door and trigger the door latch so the car thinks it's all closed up to do the testing. This takes time, but would pinpoint what circuit is drawing power when it shouldn't be. 3. Once the circuit is identified, you can either pull that fuse (or put a switch on it) or remove components that are on that circuit until the power draw goes away to find what is causing the drain. The only things that are not turned off are the headlights, which automatically turn off, and the radio which shuts off with the ignition. We drive with the headlights on all the time; Is it possible the headlight automatic shut off is causing a drain? It could be, though if it automatically turns the lights off, or you do it manually - that module is powered the same way. If it's damaged it may not be turning the headlights all the way off, though still 'off' enough you couldn't see them on. Unless you can see what is actually staying on when it shouldn't be, I think the only way to figure it out is to use a meter and see what circuit is drawing power. Hi! Did you ever resolve the issue? If so how? doubt you'll get a response on a 3 year old thread, haven't seen posts by him anymore. Pray! Buy the biggest battery that would fit and make sure it is an agm battery, absorbed glass mat. I bought one for my Mazda 6 and love it! Bought 1 slightly bigger. Also, wrap your battery in insulation. 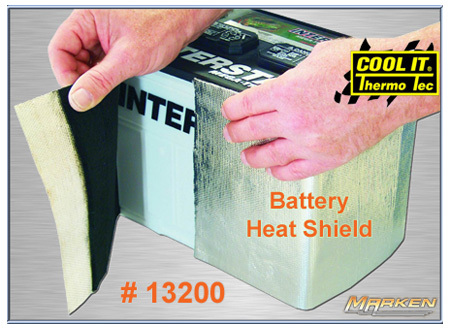 Heat kills batteries but you don't realize until the winter when you actually need your battery to work. The insulation also helps keep the cold off of it resulting in better starts.